We travel, we take photos, we drop our phones. Repeat. 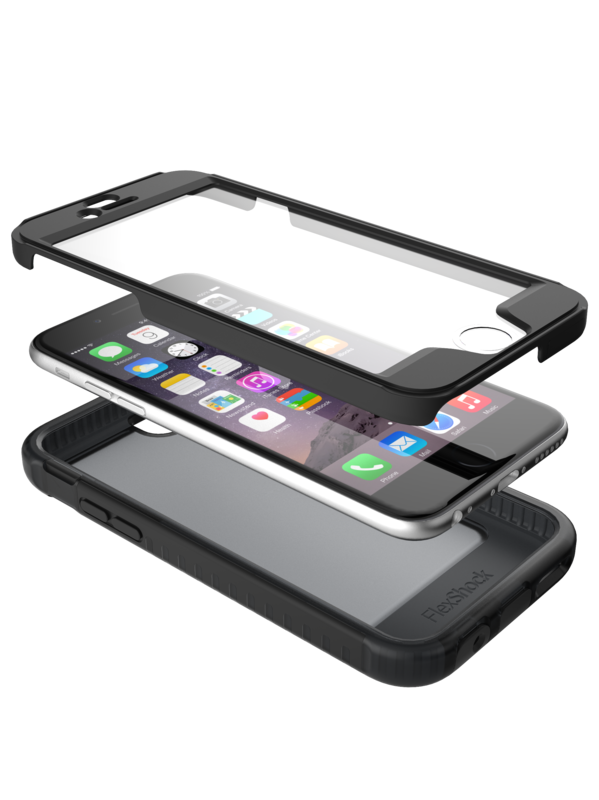 This decade’s must-have travel accessory comes with a hefty repair bill that’s never more than a few seconds away, which is why Tech 21’s famed Impactology cases for smartphones are increasingly becoming a must-have on the road. The latest incarnation of Impactology, the Patriot, comes in sizes for the iPhone 5, 5s, 6 and 6 Plus. It’s a three-part story, with its wraparound casing protecting against scratches, being dropped from a height of 2m, and from water – though it’s only splash-proof, not dunk-able. Putting the Patriot on is easy. First place it in the initial wrapper, a screen protector that grips the edges of the iPhone without covering up either the mic, the home button, or the volume rockers. In fact, you can stop there if you want; as it stands the initial layer itself is an Impact Shield screen protector, with an exceptionally snug fit. It’s a shame the back isn’t slightly proud; if it was, it could stop the back from being scratched when casually dragged across tables, too. Adding some bounce is the next layer, the FlexShock cover, which the iPhone this time sinks into. The headphone slot and Apple Lightning gap are both plugged, though what we love most about this is what it doesn’t do. The front camera, the rear camera are both left open, so it’s a cinch to carry on taking photos. That’s very unusual on a splash-proof phone, which mostly block the cameras altogether with cellophane. However, this is also the reason why you wouldn’t want to go swimming with the Patriot. The outer case also leaves the iPhone’s main button free, so you can continue using TouchID. Volume rockers and the standby switch are covered over by replacement hard buttons, but they’re brilliantly designed and even more sensitive than the iPhone’s native buttons. That’s impressive attention to detail. Ditto the holster for those working outside, though are many travellers really after a clip-on phone? Don’t think so. Thankfully, the Patriot is easy to remove, too. It’s best left in a hiking pack or travel bag ready for the journey; you’re not going to be using this when commuting and working, whatever your intentions. However, the Patriot is so smooth, easy to add and remove, and well designed that it certainly deserves a place in your packing list. Best leave the holster at home though.